After finding this lovely shirt, I wanted to make something similar but without the long sleeves (one-handed persons nightmare), and I also wanted a Peter Pan collar (considering that you know, I never make things with Peter Pan collars..) ha, so I decided to just make it instead of buy it. Then on a whim I decided to make it a button down because any chance I can get of not having to insert a zipper I will gladly take. Then the pattern I used was the Violet Blouse pattern from Collette. I love the back yolk (pictured above, no I'm not just including an awkward shot of my backside for the fun of it), ha and I also love the fabric-covered buttons down the front but I'm not loving the fit of this shirt. It's just.. awkward, I don't even know how to explain it. I think I probably should have made a size smaller but then I feel like it would have been too short or something. Grr I don't know, it's driving me crazy that I can't figure out why I don't like it. I did wear it to school today though and these girls completely made my day when they came up to ask me where I got it. I LOVE when people ask me that because then I get to feel all awesome and be like "oh I made it!" haha, life's little pleasures. This last picture has struggle written all over it but it's the only one where my hair isn't hiding the collar so I thought I'd include it anyways. 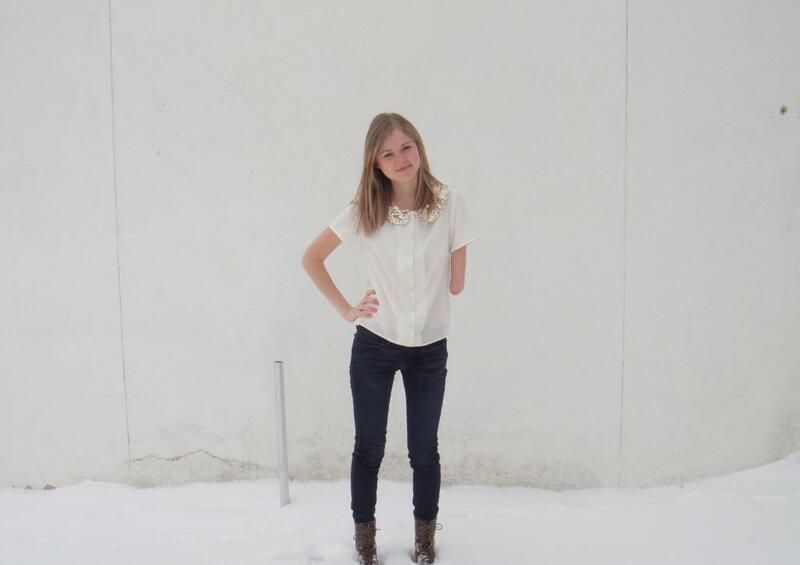 Linking up to Trend Spin Link-Up! 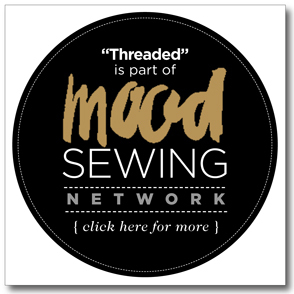 Starting in March I will be joining the Mood Sewing Network and you could say I am a little bit excited. Like I think I got an hour of sleep the night they asked me, ha for real though, I am so freaking excited! So what is it exactly? 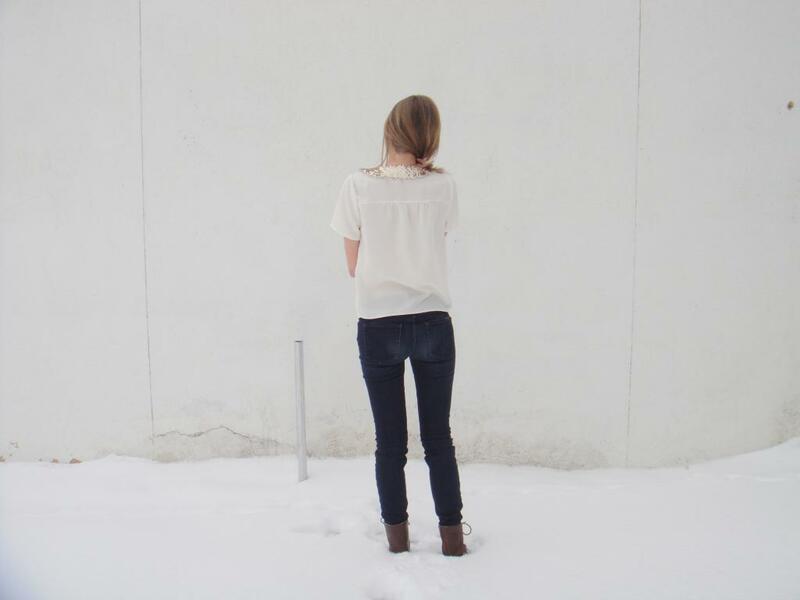 It's a community of 10 bloggers who sew monthly for Mood's online blog and get to choose different fabrics to use from their fabric store (the one they go to on Project Runway). The other bloggers, or most of them at least, are lucky enough to be closer to New York so they go to the actual store but they also have an online store which I will be using. Anyways, I'm pumped for life and even though most of you won't even notice a difference I figured I'd say something anyways since I will be referencing it in future posts. Honestly I'm still trying to figure out why they picked me (because if you have seen the other bloggers, oh my gosh being in over my head is an understatement) but for now I'm just going to go with it and pretend like I know. haha, thanks so much Mood!